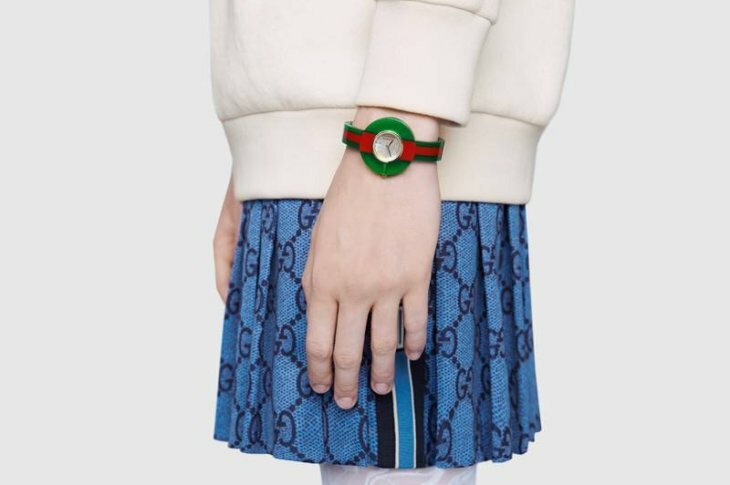 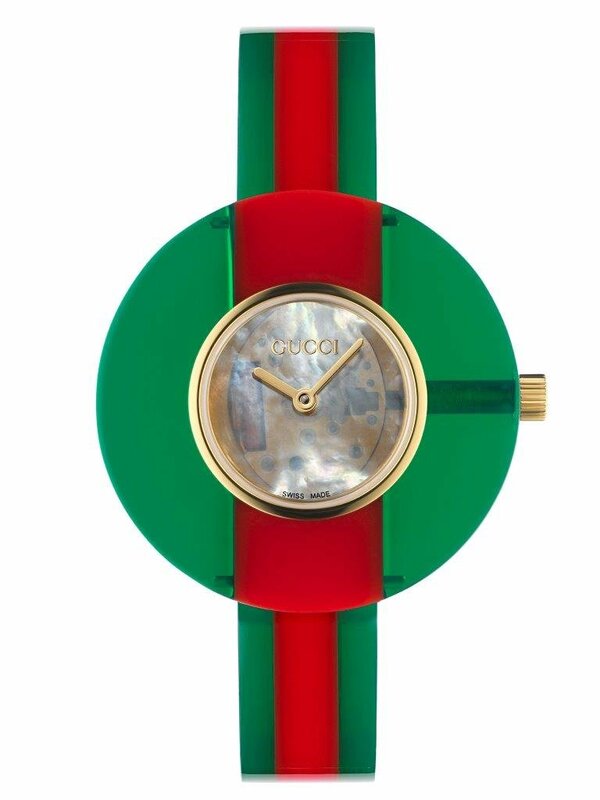 Vintage Web becomes the first Gucci watch collection to be redesigned under the House’s new creative direction. 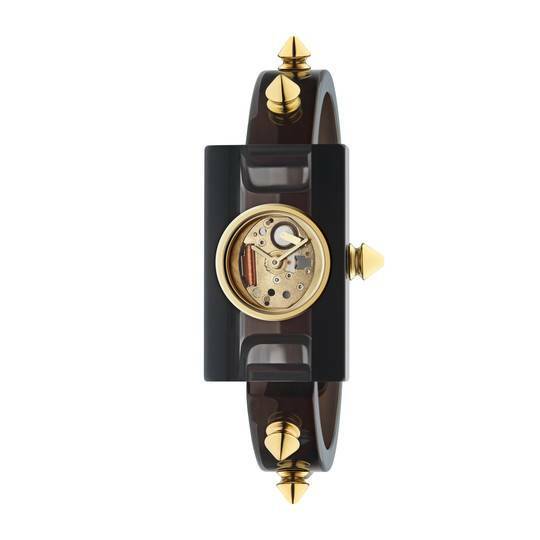 Inspired by an archival piece from the 1970s, the two latest designs are bold additions to this line. 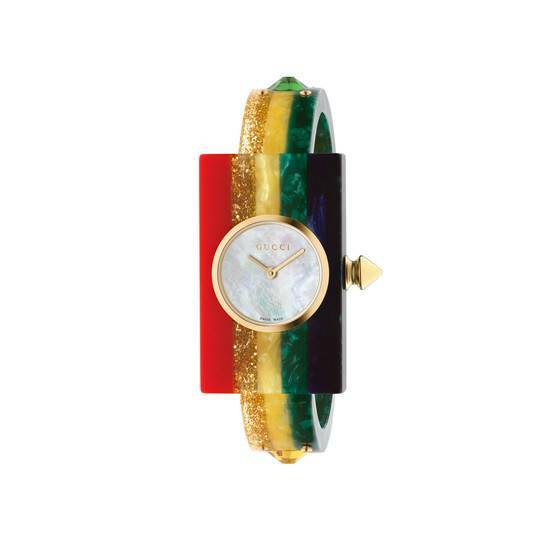 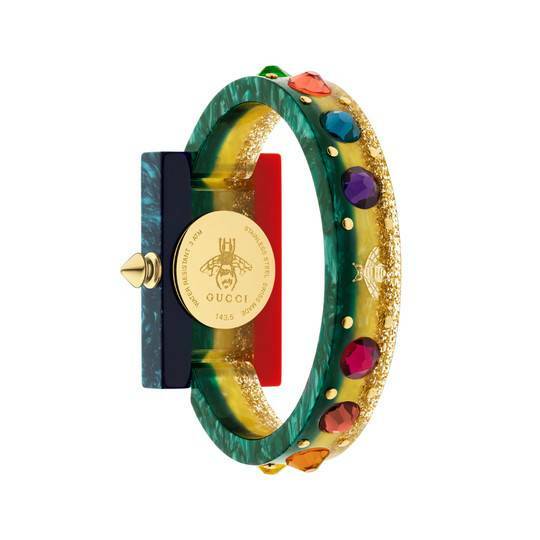 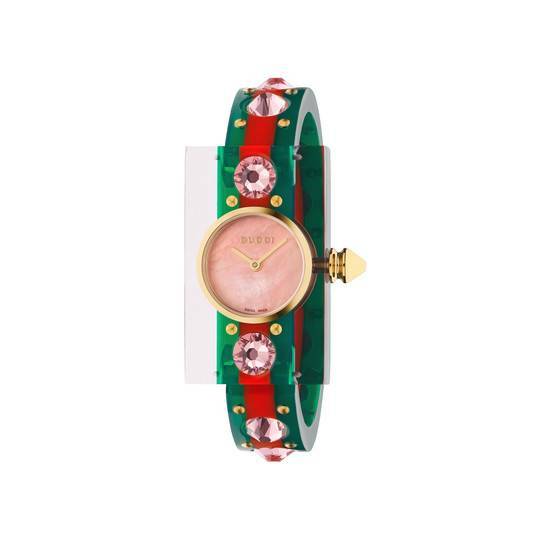 Playful and colorful, they feature a distinctive round resin case, a coordinating resin bangle, and a transparent white mother of pearl dial. 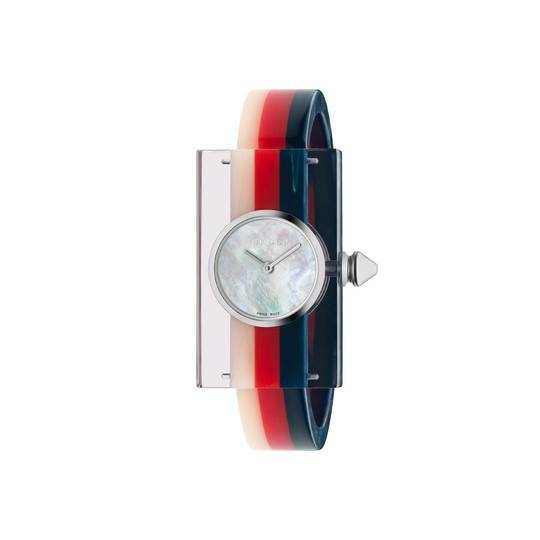 Available in two colorways – green and red, or cream, red, and blue – the watches represent a strong statement of style. 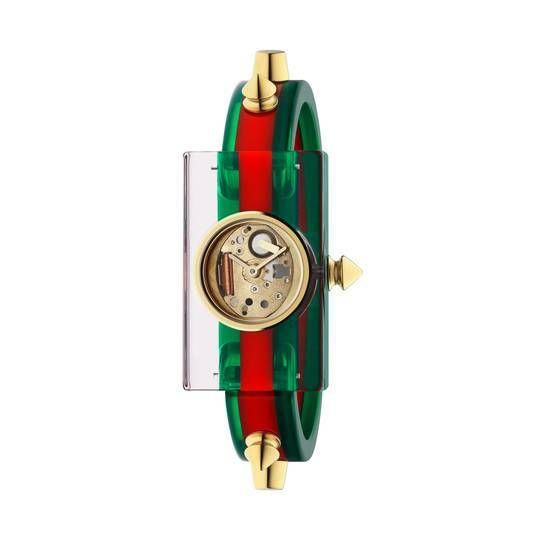 The juxtaposition between the curved silhouette and the vivid geometric stripes blends iconic Gucci codes and modern visuals. 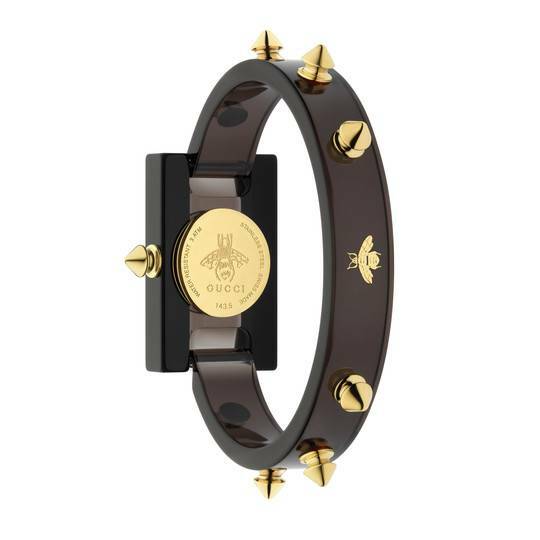 Other noteworthy details include yellow gold PVD detailing, a bee motif design engraved on the 35 mm case back, and mineral glass to protect the dial. 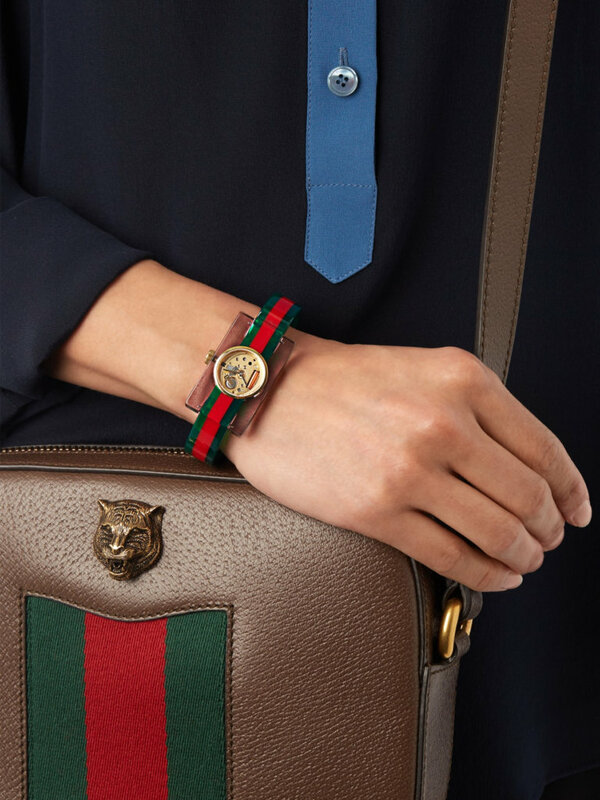 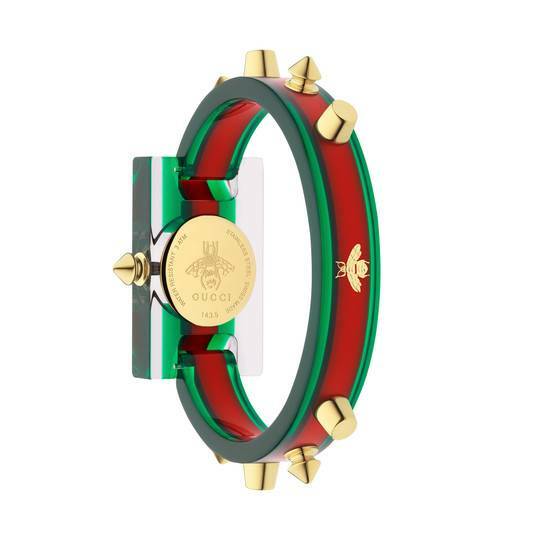 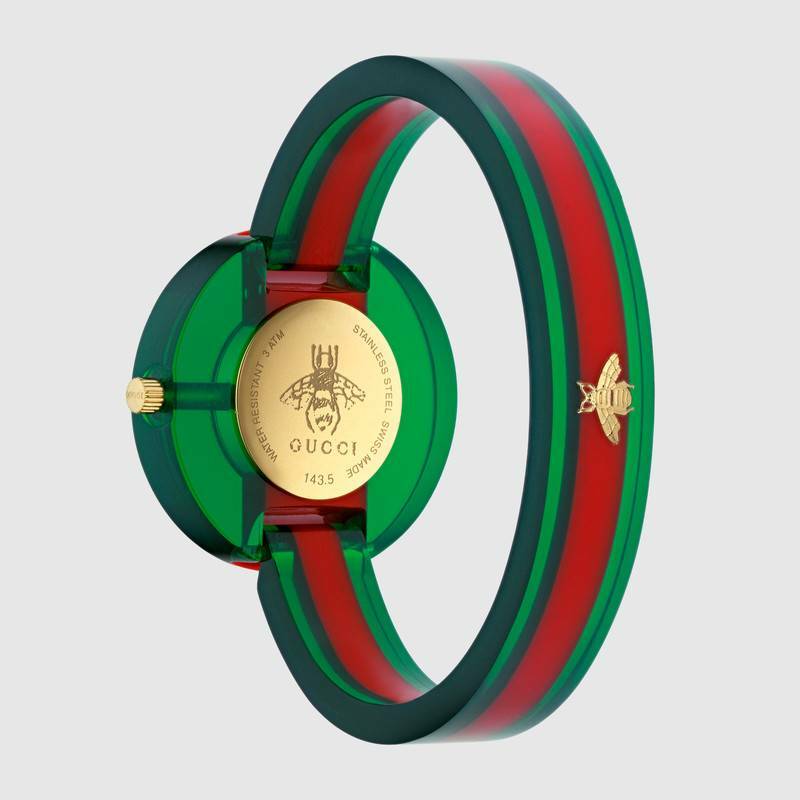 Unique and distinctly Gucci, the new designs are imbued with style and will add color to any look, making them the perfect fashion accessories.